South African platinum miner Bauba Platinum has formally signed a chromite ore commodity purchase contract with two private South African companies. 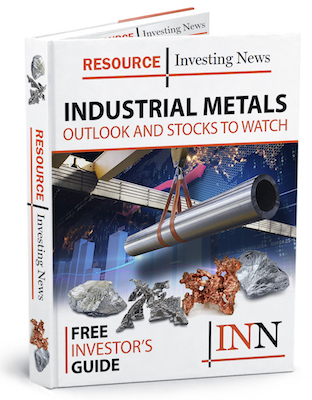 South African platinum miner Bauba Platinum (JSE:BAU) has formally signed a chromite ore commodity purchase contract with two private South African companies. The deal gives Gerald Metals and Pelagic Resources proprietary access to chrome ore for the run of mine. Bauba’s chromite is 40 percent Cr2O3 and produced at the company’s Moeijelijk mine. Terms of the offtake agreement include a US$5-million down payment, representing a partial prepayment for 240,000 tonnes of chrome ore to be produced and supplied. There is also a built-in caveat to the deal, which incorporates an appropriate reduction factor on chrome ore ROM tonnage obligations once chrome ore concentrate material is produced from the Moeijelijk mine wash plant. The precious and industrial metals producer will use the US$5 million to both enhance the ongoing projects at Moeijelijk as well as towards acquisition and development of new mines that the company is currently examining. All three companies had business dealings prior to the offtake agreement. Gerald Metals is a member of the Gerald Group, a private global commodity trading company engaged in the physical merchanting, development, trade and structured finance of commodities. Before the new deal, Gerald was purchasing chromite ore on a spot basis from Bauba. Meanwhile, Pelagic has been actively marketing Bauba’s chrome ore production. Pelagic specializes in international finance, marketing and supply chain solutions for the global trade of mineral ores and alloys. “This financing and offtake agreement will further enhance Bauba’s future profitability,” Nick van der Hoven, CEO of Bauba, said in the announcement. Earlier this year, Bauba commissioned a chrome spiral circuit wash plant and primary crushing circuit at Moeijelijk. Once complete, the crushing circuit will have a monthly capacity of 41,000 tonnes of chrome ore. The company will also screen for lumpy chrome ore, which attracts a pricing premium. The spiral wash plant will have a planned monthly feed capacity of 35,000 tonnes.